One of the most extraordinary pen designs ever. 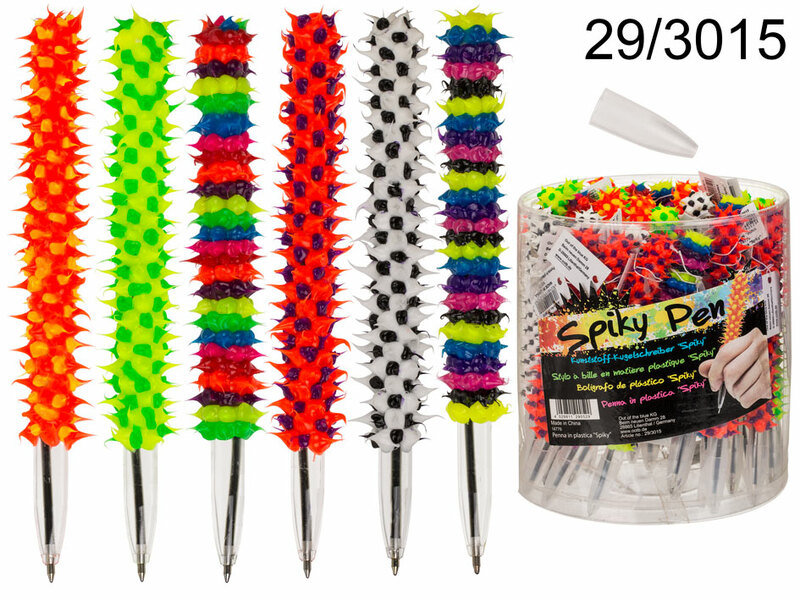 The pen is covered with silicone substance that forms colourful irregular spikes. Assortment of 6 colour versions. Display stand (PVC drum) contains 36 items. The given price is for 1 pen. Size: 14 x 1 cm.